The most expensive spice on the market, saffron is valued as a gourmet ingredient that enriches dishes such as Spanish paella, Indian biryanis and risotto Milanese with bright yellow color and unique flavor. Saffron is the dried "stigma" or threads of the flower of the Crocus Sativus – a bulbous perennial plant that belongs to the family of Iridaceae. The reason behind saffron’s high price tag is that its production is very labor-intensive, and sometimes, it can even cost more than gold. 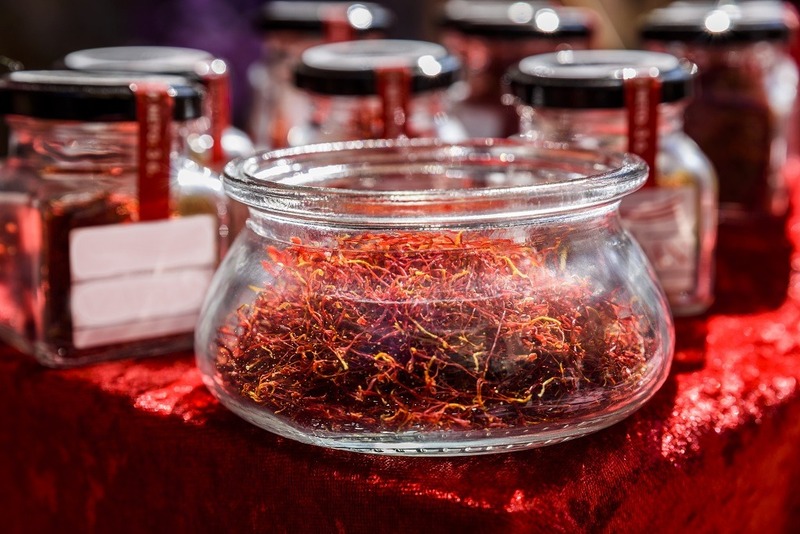 Perhaps you will find some inexpensive saffron on the market, but trust us, if the price is too good to be true, it probably is. But before you decide to pay all that money for spice, first you should find out how it contributes to the dish, how to use it in the kitchen and, of course, what does saffron taste like. Here is everything you need to know about saffron before you pawn your family gold. What Does Saffron Taste Like? How to Use It in Cooking? Saffron originally came from Asia, where it is still mainly produced. 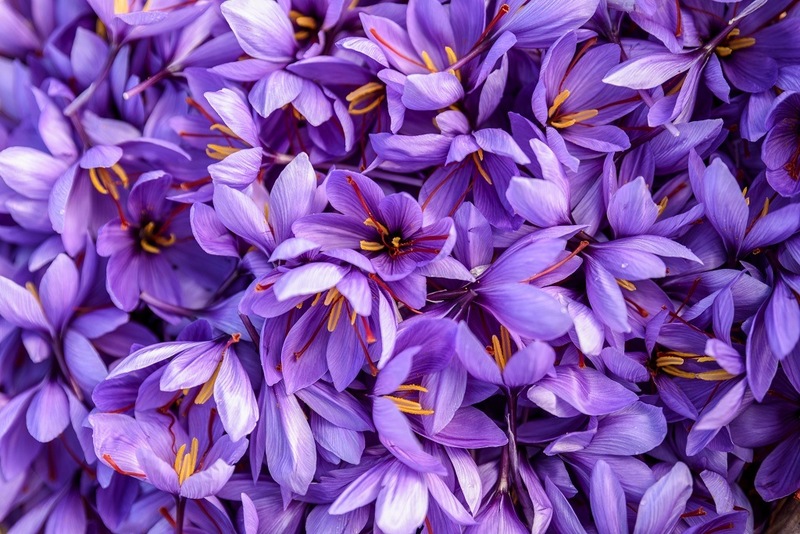 In Iran, the tradition of saffron production dates back over 3,000 years, and the country accounts for 90% of total global saffron production – more than 250 tons. However, some people claim that this expensive spice, also known as Red Gold, actually comes from Greece. In this country, there is even a myth that explains saffron’s creation. The saffron produced in Greece is one of the most highly-prized in the world. It is also widely available, which makes it more affordable than the one that is collected in other regions. Today, this exotic spice is produced in many countries worldwide, particularly in Italy, France, Greece, Spain, and in the Indian state of Jammu and Kashmir. We've already mentioned that saffron production can be complicated, which is one of the main reasons for its price. 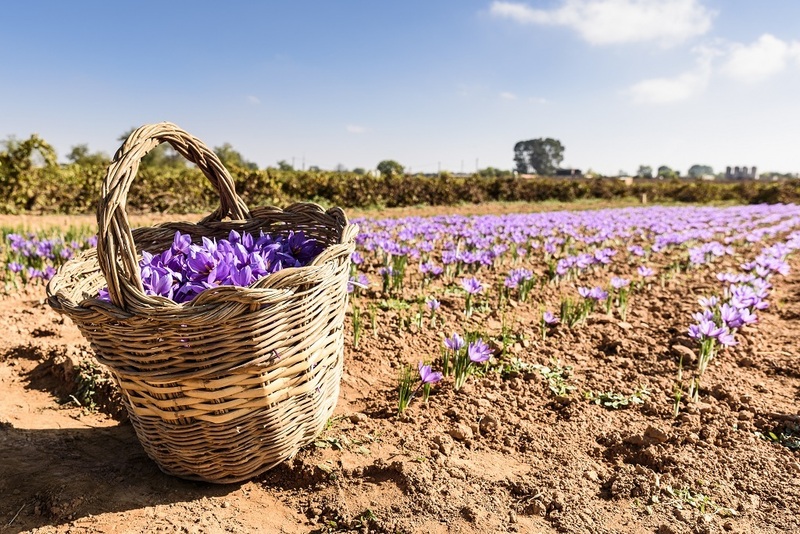 Namely, it takes 80,000 flowers to produce one pound of saffron, with a price ranging from 600 to 2,000 dollars. Saffron stigmas are gathered when its violet-blue flowers open, and every flower produces three of them. The time of harvest is autumn. The process must be carried out by hand, usually by specially trained pickers, almost always women. A legend says that in the region of Oxiana, situated between Iran and Afghanistan, only little girls are allowed to pick saffron. They have to be virgins under 13 years old. Besides its taste, color and price, saffron is known for many nutritional benefits. It is packed with antioxidants, which means that it has disease-preventing and health-promoting properties. 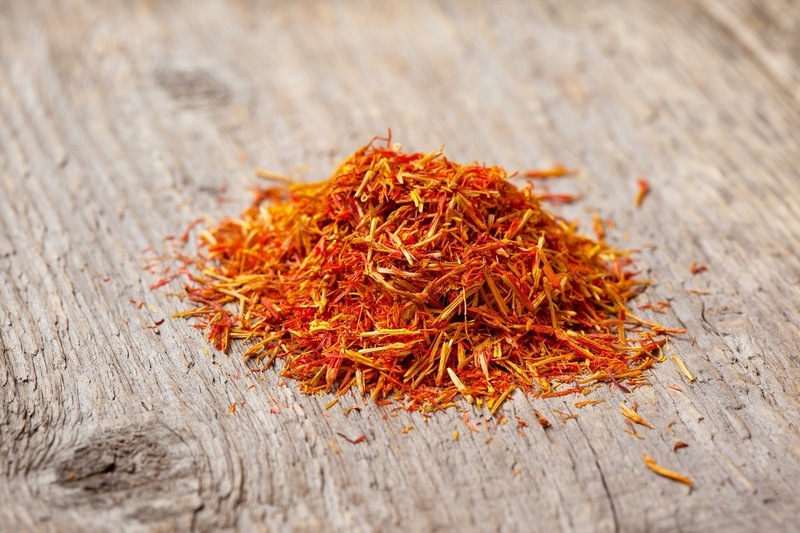 A carotenoid compound found in saffron even has the capability of protecting the human body from infections, cancer, and oxidant-induced stress. Some of the active components of saffron can have therapeutic applications in traditional medicines, such as antidepressants, antiseptic, digestive and anti-convulsant. The spice is also rich in many minerals, like potassium, copper, magnesium, selenium, iron and zinc. Furthermore, it also contains many vital vitamins, including vitamins A and C, riboflavin, folic acid and niacin. Preparing a classic recipe that (on the paper) includes saffron without this ingredient (even if we’re talking about a small amount) would result in an entirely different meal. The taste of saffron is an actual mystery because it seems that everyone experiences it differently. Some see it as highly-bitter, while others emphasize its semi-sweet note. In fact, saffron has several different tasting notes: floral, honey-like, musky, mushroomy, pungent, fresh as the sea and bitter. Its flavor can also be described as hay-like and sweet, while its aroma has a metallic note to it. It is one of those spices you either love or not. 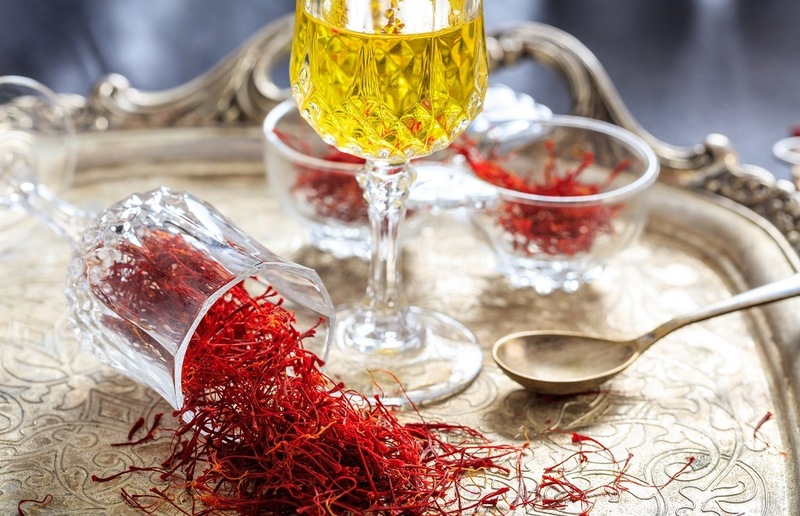 Saffron is known for leaving a bitter aftertaste, but it can be removed by pressing the threads between two aluminum sheets before use. Combining it with other mild spices, like chervil and its substitutes can also be helpful. Also, because of the strong flavor, it is advised to use it in small amounts when cooking to avoid it overpowering the dish. The distinct flavor of saffron comes from chemical compounds it contains, such as picrocrocin and safranal. It also includes a natural carotenoid – crocin, which gives saffron its brilliant golden-yellow hue. These traits along with its health benefits make it a valuable ingredient in many cuisines worldwide. At the beginning we mentioned the mantra – If the price looks too good to be true, it probably is – but the price isn’t the only thing you should pay attention to when selecting saffron. It is always the best choice to buy fresh saffron. It can be found in specialized spice markets. Opt for whole dried stigma (pistils) as opposed to powdered saffron, since it can be adulterated. Choose properly sealed container from an authentic company label that displays the date of package and expiration. Fresh saffron should feature bright crimson-red color. When selecting it, if you can rub it between your fingers, to see if it will release a very pleasant aroma and stain golden-yellow. Search for long stamens, each measuring 1 to 1.5 inch in length. Avoid inferior quality spice that features gray streaks or light spots on the stigma. After you’ve selected quality saffron, store it in a closed container and keep it in a cool dark place (inside the refrigerator or in the pantry) away from the light. Light rays tend to oxidize the pigments in saffron and thus offset its flavor. Since it is very intense there is no need to use it in huge amounts in your dishes; a little bit of this spice goes a long way. A pinch is always enough, and most recipes will require just a few threads. In fact, saffron is almost always sold in small packages that equal half of teaspoon or even less. 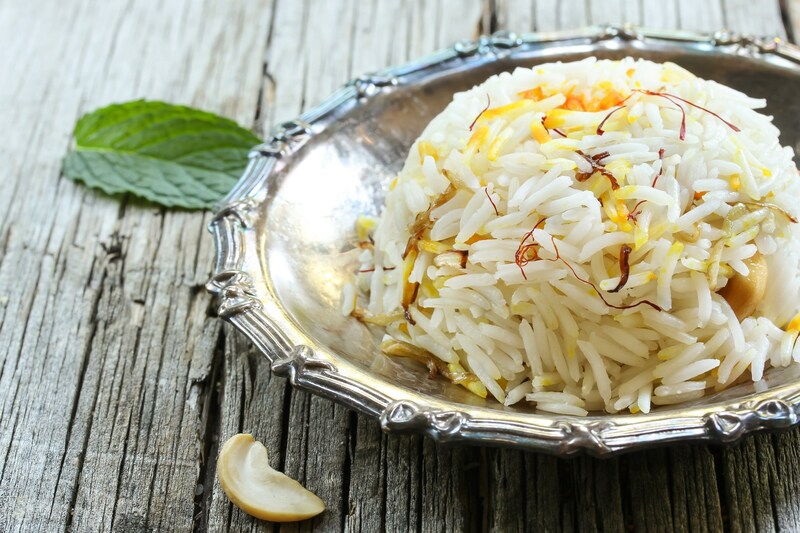 Since it has such a distinct flavor, if you just throw it into your dish, one person will probably come around all the saffron in the dish and be shocked by the intensity of its taste. The best way to avoid that and to get the most of this exotic spice, you should first soak it in a teaspoon of water or white wine, and keep it there for about five minutes. This will help it to disperse through the dish and release its natural flavor evenly. The recipes that call for saffron very often are risottos, curries, pilaf and saffron cake, but you can experiment with some innovative decisions, such as adding it to hummus, homemade garlic mayonnaise or to sweet dishes. Some recipes, such as garlic mayonnaise, will require the use of a blender. If you are going to process saffron in a blender make sure you dissolve the spice in water or wine before, and to choose the best personal blender that will equally distribute the spice in the mayonnaise. Seductive and exotic, Red Gold is a unique spice, and you'll never find any other like it. It is warming your senses and releasing brilliant sunny yellow color. Still, it is not for everyone, and while some will be completely captivated by its strong flavor, others will find it too intense and bitter. Before you decide to buy it and try it out, you should at least try to understand its taste and its application.